The paper “Hamiltonian higher-order nonlinear Schrodinger equations for broader-banded waves on deep water“, co-authored by Walter Craig, Philippe Guyenne, and Catherine Sulem, has appeared in the European J Mechanics B/Fluids. The paper derives higher-order NLS equations, originally proposed by Trulsen et al, from a Hamiltonian perspective. A Benjamin–Feir stability analysis is performed and shown to be in good agreement with previous work. 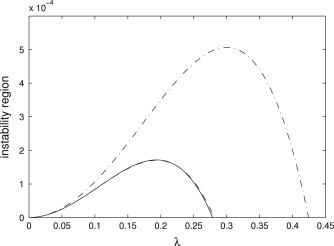 Numerical simulations using a symplectic time integration scheme are also presented to illustrate the performance of these new models with regards to their conservative and Benjamin–Feir stability properties. A link to the paper is here.